When it comes to entertaining those with a sweet tooth, what cake shows do us Aussies have to look forward to in 2018? I guess that depends on whether or not you have pay TV. Mind you, Free to Air channels still offer some entertaining options that might just help you meet your cake shows quota. Food Network is promising a entire month of baking in February! Look out for Cake Wars hosted by Jonathan Bennett. Mind-blowing cake creations are executed, with the obligatory mishaps and mayhem, by four expert bakers vying for big bucks in prize money. For aspiring home bakers dreaming of a chance to compete against professional chefs, Bakers vs. Fakers is for you. Hosted by Lorraine Pascale, the results may surprise you. Spring Baking Championship is also returning in February. Judged by Duff Goldman, Lorraine Pascale and Nancy Fuller, bakers will have to prove their skills across a variety of topics and treats. If February is too far away, SBS On Demand have more crazy bake and cake capades like Worst Bakers in America. Great for a giggle, it’s bound to make you feel a whole lot better about your efforts in the kitchen. Masterchef will be returning to Channel 10 in 2018. Hardly a cake show but some episodes will most certainly feature incredible desserts that both dreams and nightmares are made of. Foxtel’s Lifestyle Channels offer the most baking and caking action. Check out The Great Australian Bake Off premiering January 18. Each episode sees the home bakers put through challenges in a particular discipline. 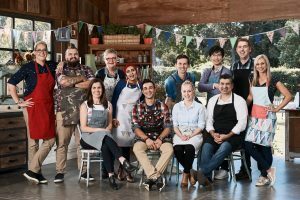 With one contestant eliminated each week, the eventual winner is crowned Australia’s Best Home Baker. 2018 has 12 hopefuls from around Australia. Their backgrounds vary enormously from I.T. Administrator (Robert Harwood) to Retiree (Michelle Trevorrow). Judged by Maggie Beer and Matt Moran, this is definitely a must watch for 2018. 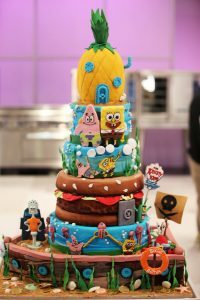 Amazing SpongeBob cake from Cake Wars on Food Network. Image via Facebook. 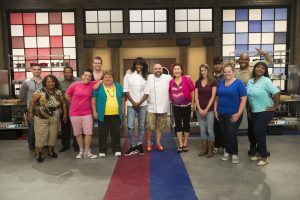 Good for a giggle, Worst Bakers in America on Food Network. Image via Food Network. 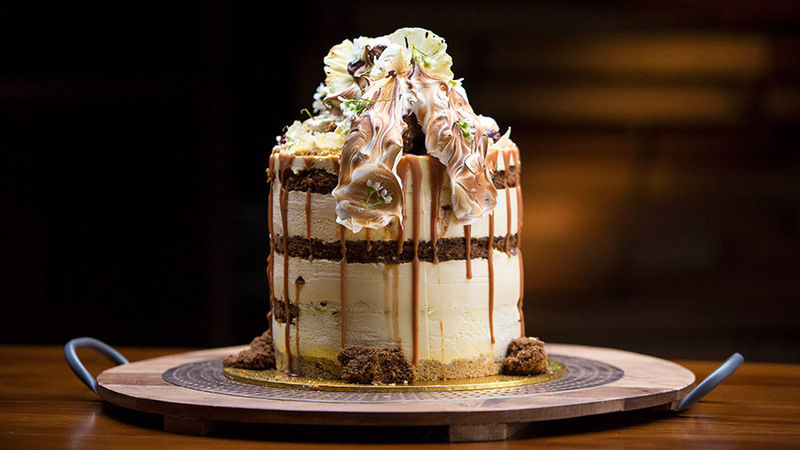 MasterChef Australia always deliver some decadent desserts like this cake by Andy Bowdy. Image via TenPlay. The Great Australian Bake Off contestants. Image via Facebook. This entry was posted in Trends and Ideas. Bookmark the permalink.